3 Beds 2 Baths 1,632 Sq. ft.
JUST REDUCED AND READY TO MOVE INTO!! NICE SIZED RANCH HOME WITH A GREAT LOCATION! Located on a corner lot with a great location on the NW side of town. Over 1600 sq. ft. with 3 bedrooms 1 & 3/4 baths. Love the nice sized living & dining room combination. The beautiful Oak kitchen has a newer counter top and is open to a sitting room with fireplace. Enjoy a huge bedroom with double closets and 3/4 bath. Both bathrooms are updated with newer cabinets and counter tops. 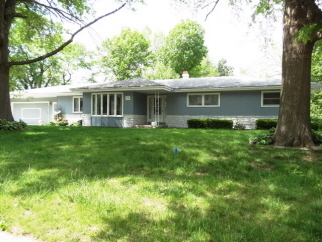 This home includes a newer roof, furnace, central air and a big 24' x 24' attached garage. CALL SALLY AT 641-990-2503 FOR MORE INFORMATION. Call Sally at 641-990-2503 for help in buying or selling a home.